Stephen Fleck died on December 19, 2002, maintaining his friendship with Theodore Lidz to the end, both of them living in the same retirement home in New Haven, Connecticut. An emeritus professor in two departments at the Yale University: psychiatry and the department of epidemiology and public health, he was the epitome of a gentle yet firm mentor for his younger colleagues, maintaining these ties as well, almost to the end. He and Ted Lidz began working together in the late 1940s. 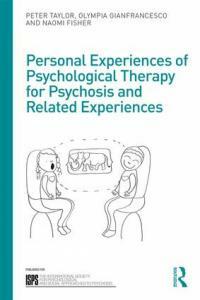 They succeeded in pushing psychoanalytic orientations from a two-person study of the individual to a perspective including social-scientific methodology, medical, behavioral, neurological and public health factors. They emphasized familial factors. Their research family was also innovative in its diversity, including all the mental health specialties, and avoiding narrow elitism. The papers issuing from this team’s work were published in the landmark Schizophrenia and the Family, published in 1965 by International Universities Press, and edited by Lidz, Fleck and Alice Cornelison. Number 7 in IUP’s Monograph Series on Schizophrenia, it delineated the twelve years of conducting an intensive study of the interfamilial environment in which schizophrenic patients grew up. In 1980, he co-edited Psychotherapy of Schizophrenia, whose senior editor was John Strauss, along with T. Wayne Downey. The book was published by Jason Aronson. And in 1981, with Jerzy Henisz, he co-authored Psychotherapeutic Management on the Short-Term Unit: Glimpses at Inpatient Psychiatry. He participated in the writing of “Practice Parameters for the Assessment and Treatment of Children and Adolescents with Conduct Disorder,” issued in 1997 by the American Academy of Child and Adolescent Psychiatry. Fleck was born on September 18, 1912 in Frankfurt, Germany. As a medical student in 1933, he and others were told by one of their professors that the Nazis had marked them for arrest. He fled first to Holland and in 1935 he moved to the United States. By 1940 he had graduated from Harvard Medical School. There, he served as John Rock’s research assistant and thus contributed to the basic research that led to the birth-control pill. Fleck maintained an interest in this initiative, working on the American Psychiatric Association’s Family Planning Position Statement, No 73007, in 1973, chaired by Eugene Brody, M.D. “Individual choice as to whether and when to become a parent and the prevention of unwanted pregnancy or birth is an important way to promote and safeguard the health and welfare of individuals, families, and communities. Birth control, including contraception, medically safe abortion, and voluntary sterilization should therefore be available universally to every individual on request to prevent unwanted pregnancy or parenthood as a part of standard health care and medical services.” He along with his wife, Louise, worked politically towards the ultimate success on June 7, 1965 of the landmark case Griswold v. Connecticut, which made the sale of birth control legal in the state. By a vote of 7 to 2, the Supreme Court of the U.S. ruled that the Constitution protected a right to privacy. Justice William O. Douglas, writing for the majority, ruled that this right was to be found in the “enumbras” of other constitutional protections. One can imagine the victory parties the Flecks hosted and attended, and the joy they felt in a nation protecting its citizens so fully. From 1942 to 1946, Fleck served in the Army Medical Corps stateside and in Europe, sometimes also assisting Army intelligence. Following the Battle of the Bulge, he was briefly in charge of 80,000 German POWs, most of them medically ill. In May 1945, he helped evacuate and treat concentration-camp prisoners and interrogate German prisoners. He also searched concentration camp records for signs of his own family and friends who had not escaped Nazi arrest. Following the war, he completed a psychiatric residency at the Henry Phipps Clinic of the Johns Hopkins Hospital in Baltimore, Maryland. He then served from 1949 until 1953 on the faculty of the newly founded University of Washington Medical School, where he received psychoanalytic training. In 1953 he joined the Yale Department of Psychiatry, helping begin the long-term research project on schizophrenics and their families. At Yale, he served in numerous administrative capacities, including Psychiatrist-in-Chief of both the Yale Psychiatric Institute (1953-83) and the Connecticut Mental Health Center (1969-83); Director of Residency Training; and Deputy Chair (1969-83). His Yale obituary notes, “Despite an extensive research and publishing record, he always maintained that clinical care and teaching should be first priorities of any academic setting. He refused major administrative positions at several junctures, preferring to concentrate on those priorities,” as if thirty years heading the famous YPI were not a major administrative post. Fleck valued his role in the career development of many psychiatrists and other mental health professionals; he took a deep fatherly interest in them. Even when officially retired, he continued supervisory and professional service until shortly before his death. He and his wife, Louise H. Fleck, who predeceased him, were active community volunteers, focusing on projects to strengthen the public schools as well as to promote reproductive choice. He was survived by daughters, Anna F.J. Singer and Carra F. Rockwood, hi son, Stephen H. Fleck, and four grandchildren, and by his brother, Edgar Fleck and dear friend, Dr. Gertrud Hunziker-Fromm of Zurich, Switzerland. I am grateful to Karen Peart for her internet posting of the Yale News Release of Stephen Fleck’s obituary, which provided most of the information included here.